My incredible year abroad started the moment I boarded my flight to France where I found myself seated next to a very friendly German astrophysicist. He excitedly explained to me that the pilot had explained only in German that we would be able to see the Northern Lights from the plane that night. I probably should have slept, but instead the two of us stayed up all night trying as hard as we could to capture this spectacle with his camera through the window. I used my sweater to block out the light while he held his probably 10 pound camera up for three minutes at a time so as to let the exposure capture the Aurora. Although the resulting pictures came out blurry, I found them to be hauntingly beautiful and a sure sign from the universe that I was embarking on the adventure of a lifetime. My year in Lyon, France transpired just as excitingly as it started, and the adventure of a lifetime it truly was. My first weeks in France were spent in awe of the beautiful architecture, the two rivers that run through the city, and the constant, poetic murmur of people speaking French all around me. I was surprised at first to find that I was much less prepared to live in a city and much less fluent in French than I had anticipated, but the following months taught me how to navigate the Metro system and to never reply “comme ci, comme ça” if a French person asks how you are doing unless you want them to laugh at you. Although I had come to France with the intention of observing the political tension that has been reverberating across the world as of late, once I arrived I was struck with a much more pressing and surprising issue. It seemed as though every other street I walked on had a homeless person sitting under an awning begging for change, and about a third of them were flanked on either side by their children. The homelessness, especially homeless youth, was staggering to me. I knew objectively, of course, that there existed homeless children in the world, but for some reason I had never even considered a country like France would struggle with this problem. What is more is that over the course of my time abroad I traveled to 11 other countries, all of whom seemed to have the same problem. I was astounded that countries I considered to be “first world” would still have streets filled with dirty, shoeless children asking passers by for change. Seeing the scope of homeless youth in the world really challenged my preconceived ideas about poverty across the globe. I began questioning what I knew about homeless youth in the United States as well. Growing up in Montana meant that I had never been to an urban area of the United States, and therefore had never seen a homeless child in my life prior to moving to France. But surely they exist, right? They absolutely do – according to the National Network for Youth, an estimated 1.3 to 1.7 million children in the United States have spent at least one night without a home in the past year. Why, then, had I never heard or seen the issue? How could it have taken me 20 years of life and a trip across the globe to fully understand just how many homeless children exist? I could feel a clear shift in my intentions the more prevalent this issue became to me. I decided to abandon my original idea of focusing my time in France on the rise of nationalism across the globe and instead to dedicate my time abroad helping homeless youth in France. My best friend, who happens to be majoring in Human Rights herself, and would spend our spare change buying baguettes and delivering them to homeless families in the main square. During our second semester, we even attended several meetings of a local human rights group that volunteered their time aiding the community. Ultimately, my time spent in France was as illuminating as it was enjoyable. I made the most amazing friends I have ever had, I travelled and experienced vastly different cultures than my own, and I gleaned pivotal insight into the lives of the impoverished, which inspired me to work harder to improve this situation not only in my own country but in France as well. I am so thankful for every new experience that my study abroad gave me and I am excited to spend more time working to promote support for homeless youth in the future. Before beginning my study abroad adventure, I had always been interested in the dynamics between social inequality and human rights. Does an unstable society promote abuses of human rights or is it more community based? Because of the ongoing refugee crisis in Europe, Asia and Africa, I wanted to see for myself the balance between individual freedoms and human rights, and social order and justice. More specifically, how have governments reacted to the crisis and what are the public’s perception of proposed or implemented policies? From the moment I landed in Athens, Greece I knew this was a culture I had never experienced before. The way individuals spoke to one another on the street, how newspapers addressed current political issues, the way advertisements were represented on the sides of buses, and the dilapidation of abandoned buildings scattering the neighborhood, all showed signs of distress and disrepair. I knew before coming to Greece that the country was in a state of poverty and unrest, but I was not expecting it to be this noticeable. Homeless and mutilated individuals flooded commercial and shopping districts begging for food and money. Unaccompanied children ran through the streets selling cheap goods, such as balloons and flowers. Abandoned and stray animals, such as cats and dogs, littered the neighborhoods in the thousands. Due to the extreme poverty of Greek citizens, their outlook and willingness to aid refugees was mainly negative. Even when I traveled to other European countries, the opinions on the impact refugess presented in the economy, was pessemistic. Many believed refugees were biologically inferior and stole jobs from hard-working citizens. Of course, I could find no data to support these claims, but countries where Catholisism and Orthodox Christianity strongly practiced, these false views followed. I believe this to be a result of past experiences where the Church used religion to codemn “inferior” races of people and other minority groups such as women and the GSD (gender and sexualy diverse) community. During my time abroad, I never saw noticeably gay or transsexual individuals on the streets and during International Women’s Day, Greece was absent in holding any parades or marches in favor of women’s rights. I was later informed that the country, being Greece, had never held pride or women’s marches and many people, including women, felt that it was unnessesary to do so. Because of this I noticed how aggressive Greek men were to women, including myself and my roommates, and how there was an underlying sexist attitude in almost all conversation. Due to my personal experience, I believed and continue to believe that there are many human rights issues in Greece and other European countries, and that these primarily stem from social inequality. In the future, I hope to see Greece move in a more progressive direction. I still resonate with it after I’ve returned from my six months abroad. My experience has given me an education about culture, people, language, politics, history, and the world. I learned about myself, my own independence, potential, and leadership skills. I am incredibly grateful for the experiences and knowledge I gained from studying in Barcelona, and it will continue to positively affect me for the rest of my life. Through the University of Montana’s GLI program, I was able to pack up my life, and move half way around the world to study at La Universitat de Autómoma de Barcelona, or UAB. As an English literature major with a Pre-PA (physician Assistant) emphasis, I chose Public and Global Health as my global theme and eventually decided to focus on mental health as my global challenge. I had some rather specific requirements to go abroad. I like to think that UAB chose me. It was the only available university in a Spanish speaking environment, with a psychology course for my GLI challenge, and English literature courses. One of the most valuable experiences I had was taking a class called Ámbitos de Aplicación en Psicología de la Salud, or Areas of Application of Health Psychology. I took the entire course in Spanish, and I can safely say it was one of the hardest things I have ever accomplished. It really showed me how difficult a language barrier can be and also helped improve my Spanish immensely. I learned about the diverse psychological and mental effects of other health conditions like diabetes, obesity, fibromyalgia, hospice, and cancer. Not only will it be useful information for GLI and my professional career as a PA, but I gained an understanding of how language barriers can affect the quality of health care. After my time in Barcelona, becoming fluent in Spanish has become a priority for my personal and professional goals. One of the highlights of going abroad was becoming part of a family of international students from all over the world. Studying in Barcelona introduced me to many new people; we were able to travel together, share problems and experiences together, and ultimately became life long friends. Barcelona is located in a region of Spain called Catalunya. Many Catalan people distinguish themselves as Catalan, rather than Spanish. The people in the region often speak Catalan and especially cherish their own language, traditions, and history. Barcelona is a different world than the sparsely populated, northwestern U.S. that I’ve always known. It’s a buzzing city of 1.6 million people. There’s a constant stream of people casually bustling down the street with deliberate destinations. Ordering a coffee, you will hear a blend of Spanish, Catalan, and English in the background babble. You might bump into a Spaniard, a Portuguese, or a Frenchman. It’s a compact city full of international diversity and a quiet buzz of constant excitement. El Gótic, or the Gothic Quarter, is full of small shops, tapas restaurants, bars, and apartments. The winding paths and Gothic style make it a popular destination for travelers and locals alike. I used to wander for hours in the Gothic Quarter, and loved finding new cafés to sip some café con leche (coffee with milk) and people watch. El Gótic, or the Gothic Quarter feels like a city maze, with narrow cobblestone streets that bend and twist unpredictably. I was fortunate enough to have my family visit me during my time in Barcelona. Behind my dad, sister, and myself, Pont Gótic is one of the most famous images of the Gothic Quarter. The tan buildings are usually five or six stories high, with layers of balconies and intricate Gothic styles. Looking up at the balconies you might see Catalan flags, plants, or drying laundry. The Catalan flag was often paired with yellow ribbon symbolizing the support of the release of a few Catalan politicians from prison. With recent political movements towards Catalan independence from Spain, the Catalan flag was more prominent than the Spanish flag. Just outside of Barcelona, Montserrat is an incredible monastery nestled into a unique, towering mountain of curious rock formations. After a train ride and a gondola to the top, the place attracts a curious combination of hikers, climbers, tourists, and religious pilgrims coming from all over the world. The monastery seems small compared to the towering rock formations of Montserrat. With the monastery to the right, and the mountain to the left, the transition between the two creates a unique blend of natural and architectural beauty. La Sagrada Família is an identifying highlight of Barcelona. Planned by the famous architect, Antoni Goudí, it is still under construction today. Throughout Barcelona there are many architectural works by Goudí, the Sagada Familia being the most famous. The church’s intricate Gothic exterior contains a progressive symbolism for the birth and death of Christ. It is said that Gaudí planned the church to be just short of the tallest point in Barcelona, with the reasoning that man’s creation shouldn’t reach higher than God’s creation. The inside is filled with changing colors from the large stain glass windows, and the branching pillars inside vaguely mimic trees and the image of sunlight filtering through a colorful canopy. The Bunkers de Carmel offers one of the best views of the city. As one of the highest points of the city, the ruins of an old anti-aircraft base sit at the top with a 360 degree view. My directly above my sister and I, the Sagrada Família’s tall spires stick out in the middle of the city. Far in the background, the Mediterranean Sea blends into the sky. Right next to the Mediterranean Sea, Barcelona offers a port, a marina, and beautiful sandy beaches. The W Hotel, (shark fin shaped building) is another identifying building in Barcelona’s skyline. Barcelona is full of pedestrians, bikers, and skateboarders enjoying the sun, especially along the beach. Plaça d’Espanya, or Plaza Espana, makes an impression even from a distance. The towering dome of the Museu Nacional d’Art de Catalunya (MNAC) is the national museum of Catalan visual art, displayed impressively with massive colorful fountains and preceded with many, many stairs. Studying in Spain was the experience of a life time. I had the best moments of my life, and some of the worst. I learned more about myself, what I am able to accomplish, and how I want to spend my time and effort. I was integrated into Spanish culture and gained new perspectives of Catalunya, Spain, the U.S., and the rest of the world. I returned with ambition to become fluent in Spanish and to continue pursuing my GLI goals, personal goals, and professional goals. I am incredibly thankful for my experience in Spain and cannot wait to apply what I have learned to the rest of my life. I am coming from the small mountainous collage town of Missoula, Montana. Nestled in the mountains with a population of 72,000, it’s a spunky little town that I absolutely love. Now I am halfway across the world. Barcelona is like another planet. The city is massive and people are constantly moving, weaving, buying, drinking, talking, laughing, and making their way through the day. Walking down Las Ramblas, there are small pop up carts selling fun touristy trinkets for as far as the eye can see. The buildings aren’t skyscrapers, like I thought. Instead they stand five to fifteen stories high with beautiful sand colored exteriors, and large framed windows. A building by the famous 1900’s architect, Antoni Gaudi. Perhaps one of the most well known staples of Barcelona, The Sagrada Familia. This magnificent church was planned by Gaudi, but it wasn’t built until after his death, and is still being built today. Branching from different squares throughout Barcelona, long, narrow alleys connect, creating a massive, ominous maze. A square near Barcelona’s city center. Palm trees and other vivid greenery is everywhere. The Bunkers del Carmel sit atop on of the higher hills in Barcelona. After a short uphill walk, these abandoned anti aircraft ruins offer a spectacular view of Barcelona. Throughout the city, there seems to be a theme of yellow. Yellow ribbons gently wave in the wind from a fourth story balcony. The Catalonia flag is everywhere. In the same folded shape as the breast cancer awareness symbol, I can sometimes spot a small yellow ribbon pinned to a passerby’s jacket. Barcelona is part of a north eastern region of Spain called Catalonia. This yellow propaganda symbolizes support for Catalonia’s independence from Spain, among other things. I strongly recommend reading about the political happenings between Spain and Catalonia. More on this later. A protest gathers on an intersection in Barcelona. Yellow is everywhere. People make noise by talking, yelling, banging pots, ringing bells, or blowing whistles. Police cars, blue lights spinning, redirect traffic by blocking the streets that lead to the protest. These first two weeks in Barcelona have shown me how much the world has to offer. I thought I could be content forever, nestled in the mountains of the northwestern United Sates. This city has shown me how small I am. The world is teeming with people, culture, food, history, and every place offers an exquisite taste of humanity. I had the opportunity to study abroad in Milan, Italy for the Spring 2017 semester, where I truly fell in love with the culture and beauty of Italy. Living abroad was eye-opening and challenging at the same time. It allowed me to learn much about myself and also how diving into other cultures is integral to our understanding of the world. My focus for the global theme and challenge is technology and society and while in Milan I was able to engage with a few of the ways in which technology is shaping business markets overseas. Specifically, my entrepreneurial finance class gave my class direct access to a med-tech conference taking place in the city where concepts of how technology is influencing innovation is taking root on a world-wide scale. We were asked to use these new/technological concepts to craft our own innovation or business idea. Seeing first-hand the incredible innovations coming out of Italy and surrounding European countries proved to me that the world is becoming ever-more technological and that the U.S. has a great amount of competition in the innovation world. In terms of fostering my personal leadership skills, studying abroad helped me understand what navigating a new place is truly like and that if you want to learn and grow you often have to step up to the plate yourself. Going abroad has left me curious about how the world will continually change as we become more interconnected and globalized. Overall, this study abroad experience is something that I will never forget and has shaped the rest of my life. From May 31st to July 14, 2017 I studied the history of European Integration and violence in Europe at European University Viadrina in Frankfurt an der Oder, Germany. I was surprised from the moment of arrival, essentially – as I saw a side of Germany that I did not think about – the difficulty of recovery from being divided. When I arrived in Berlin, I was surprised to find that two years of German and learning about the culture and language still could not fully prepare me for culture shock. When I arrived in Frankfurt an der Oder, taking a train from Berlin eastward, I was even more surprised to find something that had yet to cross my mind learning about Germany. Frankfurt an der Oder, a smaller, different town than Frankfurt am Main (the big one) used to be an industrial hub under the Soviet Union, and when Germany was reunited, all the heavy industry was shut down and the town suffered unemployment and a population drain. When I think about Germany, I think about how it is the economic hub of Europe, how its infrastructure is nearly unparalleled, and how its political system functions quite well. I did not think of abandoned buildings that the local government has no money to repair, or how Germans in the east blame the EU for many of their troubles. Not only did my studies relate to Social Inequality and Human Rights – my whole experience showed me an experiment in trying to fight inequality. I did not think how the culture of former east Germany has yet to fully assimilate to the west. Nor did I think of how the west has failed to adjust and help merge the former two Germanys in many ways. The cultural problem remains difficult to solve in many ways, as there is still almost an anti-western sentiment in eastern Germany, and vice versa in west Germany. The way the country has attacked the economic problem, and even started to attack the cultural divide, has been interesting though. With the dawn of European integration and the revival of the German economy, the infrastructure – the public institutions, transport, and other structures in east Germany – has undergone serious revitalization. The university I studied at was closed by the Soviets, but has been built back up by the country to become a well-known international educational institution. In many ways, though many buildings are abandoned and still destroyed – the infrastructure in East Germany is better than the west, as its become more focused on making its students cosmopolitan. Therein lay the biggest cultural difference I saw in Germany – the way children are brought up to know their own history more thoroughly than anything before they broaden their knowledge to the world. The Holocaust is a giant scar on German history, and the Nazi period is a taboo subject for many in the United States. However, in Germany, people fully recognize the past’s mistakes, as the old slogan “never again” truly means something to them. In discussing their history, Germans were very blunt and thought the only productive way to move forward was to recognize the past so as to understand the problems of today and solve them. Though most Americans know their country’s history, the attitude toward it, and attitude toward education here is far different than the German one, and I honestly wonder now what changes developing these attitudes and approach toward a more efficient infrastructure at a local level, particularly here in Montana, with the presence of historical trauma on reservations and a lack of proper education structures for many, could make. Kyoto, the emperor’s home of the past and today’s cultural heart of Japan. This is the setting of my study abroad experience. Upon arriving I had a lot of challenges ahead of me, from learning a new transportation systems to studying the language. Some challenges are easy to overcome, while others take time. 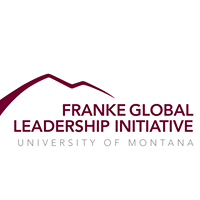 When considering GLI, I’ve taken the challenge of trying to come to an understanding of how cultural differences might affect relations, especially economical, between Japan and other countries, in particular the United States. My study time here is not yet over, but I feel like I’m coming to a level of understanding where I can contrast the two with accuracy and confidence. While in Japan, I feel like I’ve come to know my own country better than ever before. To give an example, let’s take a look at work in Japan versus the United States. With my time here, I can confidently say that the Japanese are hard workers, and I can also say they tend to take this admirable trait too far at times, overworking themselves. Given this comparison, I began to see how much and at what level Americans value personal and family time in relation to work. When talking about social topics like this, it becomes difficult to leave out parts of the grander narrative, which includes a country’s culture and politics all the same. Having so far spent much time with Japanese friends, international friends, and from time to time Japanese families, I would say my perspective on Japan’s culture and politics has definitely broadened. Although with the past year’s tense elections, both in the US and Europe, I have also been able to see the reactions of events taking place around the world. Whether or not this experience has greatly developed my leadership skills is yet to be tested. However I do know I am more confident now, especially when it comes to subject matter such as Japan or politics. Given I were to be involved with these topics, I would no doubt feel comfortable in taking a position of action. I have come to really love Japan, though I will say there are also things I have discovered to dislike as well. Likewise can be said for America. This brings up some big questions, both societal, and personal. In particular, personally I’ll likely one day have to make the decision of where to live and work in the world. What is better, Japan, America, or some other country? Unfortunately the world is not cookie cut into good and bad pieces, which makes such questions difficult, to say the least. So instead, with my remaining time in Japan, and at The University of Montana, I’ll have to continue thinking about a variety of things. What is valuable in the American culture? How much should politics affect my actions regarding international matters? Does culture affect economy, and if so at what level? With time, it is my hope I can come to a right answer to at least a few of these questions.